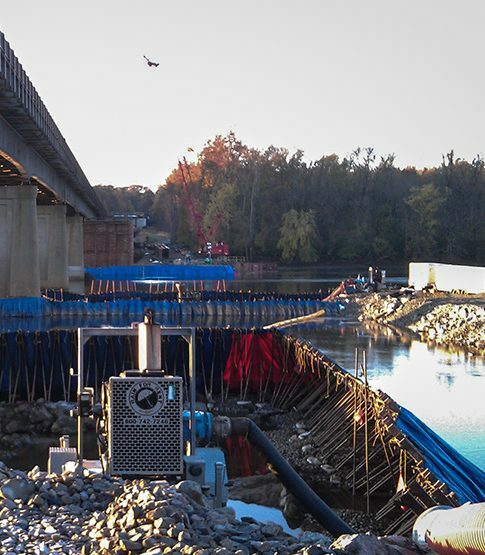 Portadam™ portable cofferdams for use in construction, flood protection, and in-water inspection projects. 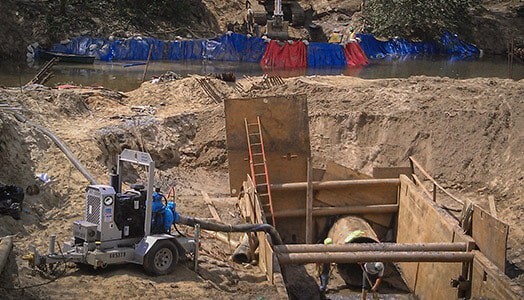 Compared to earthen dams, sandbags, home-made contractor methods, sheet piling or water filled bladders, the Portadam™ system provides significant environmental and cost benefits. 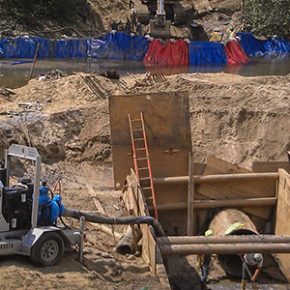 Temporary cofferdam and river bypass solution saves pipline contractor $500,000 and keeps pipeline project on track. 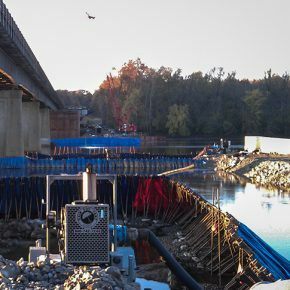 $51 million bridge rehabilitation project chooses Rain for Rent, Portadam joint cofferdam dewatering solution to provide firm foundation for major transportation artery. 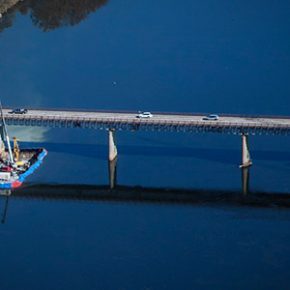 Mitigate project risk by relying on two trusted providers. Benefit from tightly integrated planning and logistics that save both time and effort. Experience rapid response times and local support – a combined 65 locations across the U.S. and Canada. 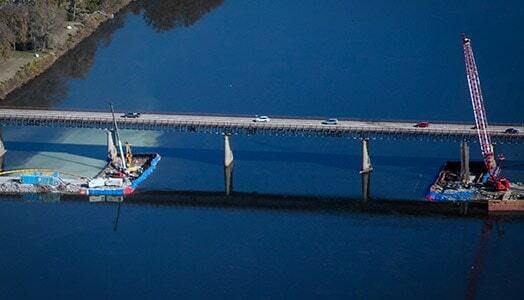 Benefit from engineering experience and operational excellence with a steadfast emphasis on safety and performance. Save effort with one modified rental agreement instead of two –or as specified by you. Gain access to the most environmentally friendly solutions available today both partners share a culture of corporate and social responsibility.